Sierra Nevada Corporation (SNC) have announced they have “a credible system design which is now approved to proceed towards integrated system testing” after their Dream Chaser Space System (DCSS) passed its Preliminary Design Review (PDR) – the 17th overall milestone in the company’s Commercial Crew Development contract. 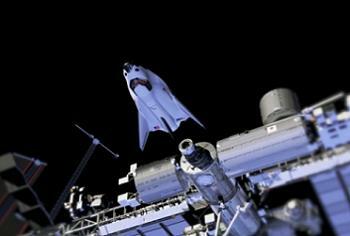 The PDR – a key review for any spacecraft system – included a detailed review of all major elements of its orbital flight program including the Dream Chaser orbital crew vehicle, the Atlas V launch vehicle, and Dream Chaser Mission and Ground Systems. The entire design, architecture and performance of the Dream Chaser Space System was reviewed and thoroughly evaluated by NASA and the DCSS partner companies and determined that the SNC preliminary design for DCSS is complete. The news was greeted by John Curry, Director of Dream Chaser Systems Engineering, Integration, Test, and Operations, a 25 year NASA veteran where he served as a Flight Director for the Space Shuttle and ISS Programs, and managed integration and test the for NASA’s Orion and Constellation Programs. This year is proving to be highly successful for the Colorado-based company, who are one of the major players in NASA’s commercial crew aspirations of being able to transport American astronauts to the International Space Station (ISS), a capability the Agency currently contracts out to the Russians following the retirement of the Space Shuttle fleet. With SNC completing the construction of the first full scale Dream Chaser, called the Engineering Test Article (ETA), NASA and the public alike finally got to see what the spacecraft looks like in the air, past the conceptual stage in videos and powerpoints. 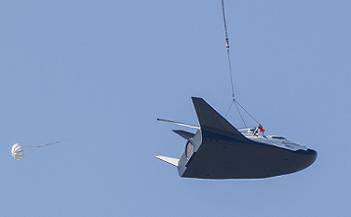 “We call it our first flight test vehicle or Engineering Test Article. Full size vehicle, full frame,” noted Mark Sirangelo, Corporate Vice President and head of SNC’s Space Systems in an interview with NASASpaceflight.com’s Lee Jay Fingersh. That first flight test was called the Captive Carry Test, resulting in the Dream Chaser ETA taking to the air for the first time, via the help of a SkyCrane helicopter. “We’ve been working this program for now eight years and to actually see something that we built go up in the air, I think we learned that it could go in the air,” added a buoyant Mr Sirangelo, after seeing his vehicle fly with the iconic Rocky Mountains as its backdrop. 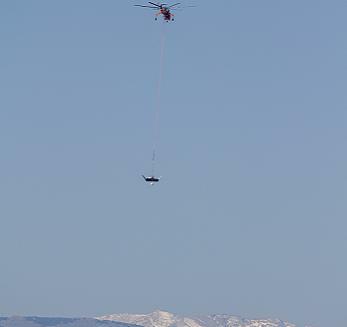 “More importantly, what we were really trying to do – and this was somewhat of an initial test here in Colorado in part because this is our home and we wanted people to see it – but we wanted to learn how this vehicle was going to react underneath the drop carrier, in this case a Skycrane helicopter. The flight met all the pre-established flight test goals and is a significant step towards preparing the vehicle for an autonomous Approach and Landing Test (ALT) scheduled for later this summer, an ambitious test program that will eventually lead to a crewed free flight, mirroring the early days of the Space Shuttle via Enterprise’s ALT flights. 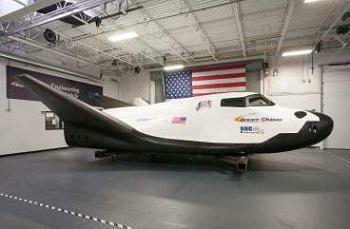 Mr Sirangelo noted that the possible – though unconfirmed – choice for this honor will fall to former Shuttle commander Steve Lindsey, who joined the SNC Dream Chaser team in July 2011 – as Director of Flight Operations. A full overview of the ALT program and other engineering notes of interest will be provided in an upcoming feature article on Dream Chaser, based on NASASpaceflight.com’s Lee Jay Fingersh’s interview (already available on L2’s DCSS section), marking SNC’s successful completion of the two major milestones within a week. “We would like to thank our 12 industrial partners, 7 NASA Centers and 3 universities from over 20 states who helped us achieve two major program milestones this week,” Mr Sirangelo added during the PDR announcement. “This is the 17th overall milestone completed by SNC during NASA’s CCDev1 & 2 Programs and, with the completion of PDR and the beginning of our vehicle’s flight test program, the Dream Chaser Program has now entered the next phase of development.